The rich flavor of hazelnuts--also known as filberts--goes well with chocolate and baked good. The hazelnuts ripen late in summer but remain on the tree until autumn when they begin to fall to the ground. Hazelnut harvest season is typically August to September in the Midwest and Pacific Northwest. Mature hazelnuts trees can reach up to 20 feet; trees can provide a nut crop for 50 years if well cared for. Wait for hazelnuts from high-up branches to drop to the ground. Gardeners can wait for all hazelnuts to drop to the ground and harvest nuts as they fall. 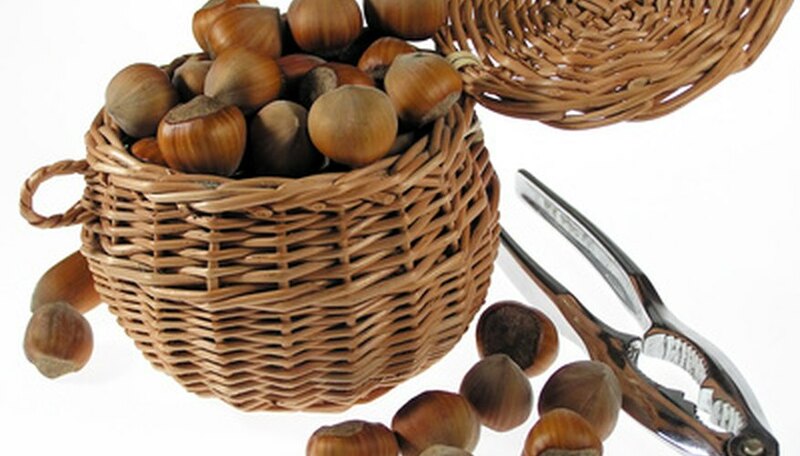 Gather fallen nuts in a basket and bring them indoors. Shake the tree branches to encourage more nuts to drop. Get as many nuts from the tree or from the ground before autumn rains come, since these can damage the nut crop. Spread harvested hazelnuts on a screen in a well ventilated location and allow them to dry completely. This should take one to two weeks, advises Rural Advantage. When the nuts feel light and dry to the touch, they&#039;re ready for the next step. Husk the nuts by hand or by using a nut sheller. Discard the husks. Store husked hazelnuts in an airtight container. Place the container in the refrigerator or the freezer to extend their shelf life. Hazelnuts will go rancid over time (within approximately six months) if not stored in the refrigerator or freezer. Use them before this date for optimal flavor. Rancid nuts taste sour. Do not attempt to harvest nuts that have fallen to the ground and have then been rained on, as these could harbor disease. What Are Good Weather Conditions for Growing Almonds?